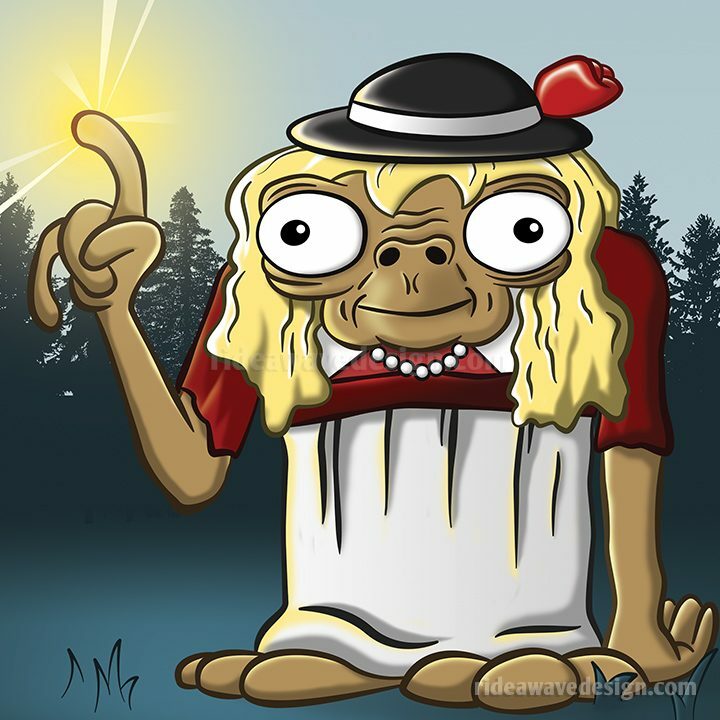 Why does E.T insist on dressing like a woman? 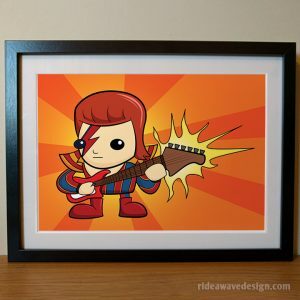 Because he looks fabulous! 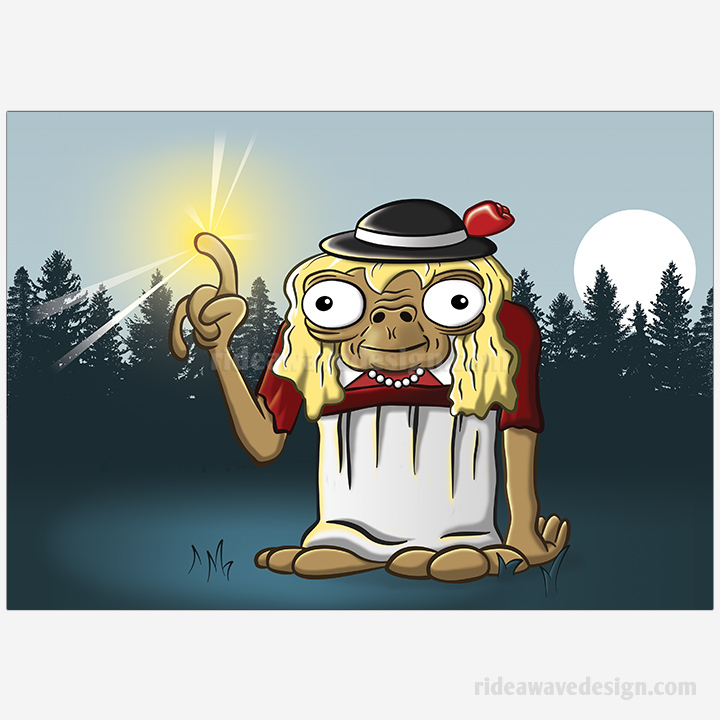 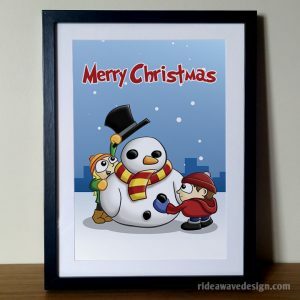 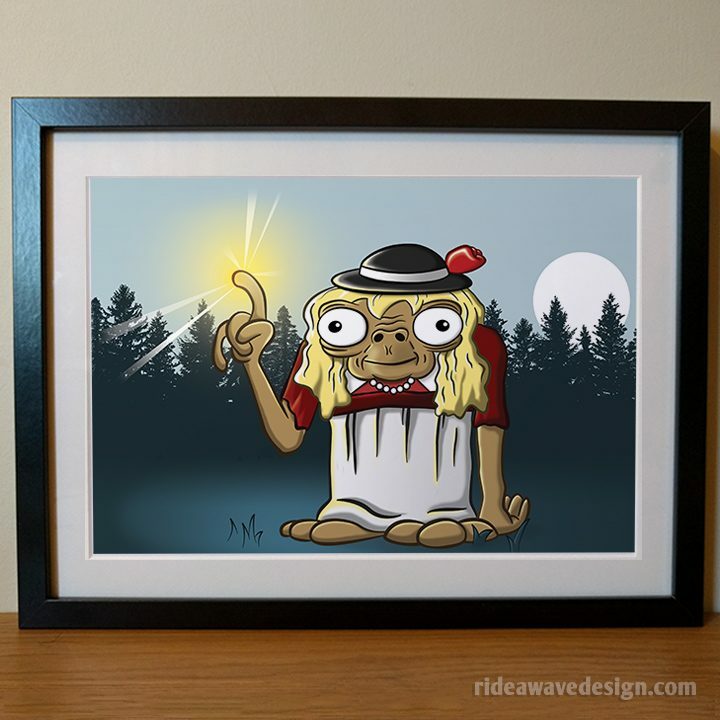 This original art print of Old lady E.T was created by freelance illustrator Robbie Douglas. 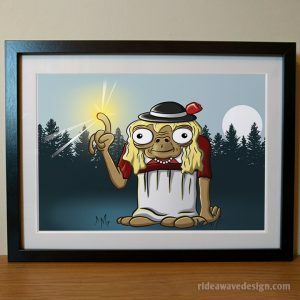 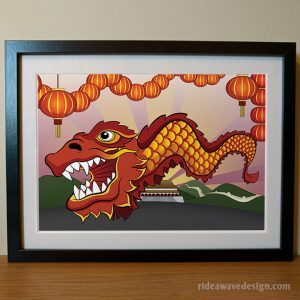 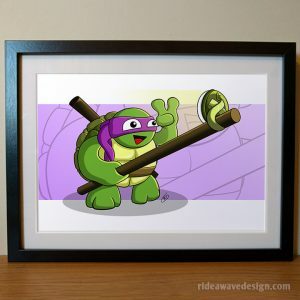 Signed by the artist on the reverse side, this premium quality art print is perfect for any fan of the 80’s movie.